The 1st of April, better known as April Fools Day. Some don’t like pranks others are preparing them for weeks! The oldest joke is still being used today, and people still fall for it. In 1600 something a French landowner sent his stable boy of to the local town the get something that didn’t exist, like a kilo of mosquito tongs. All the people working on the land enjoy this so much, that they kept repeating this. In the early days April 1st was known as Sendingsday. Today people, companies and even governments try to pull the best joke. Aussies love pranking and the result is hilarious. Tell us about your best prank! 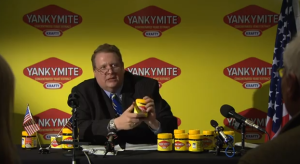 Here is our top five of best Australian April Fools Day Jokes! In 1975 Australia’s This Day Tonight stated that the country would be converting to ‘metric time’. A new time system just for Australia. 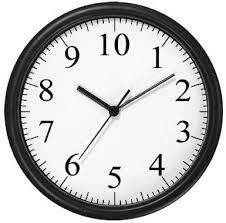 A minute will have 100 seconds, an hour will have 100 minutes and a day will have 20 hours. The Adelaide town hall was even spotted with a new 10-hour metric clock! Numerous people called the show with their questions about the new system, cause how do you reset your 24-digital alarm clock to the new 10-hour system? 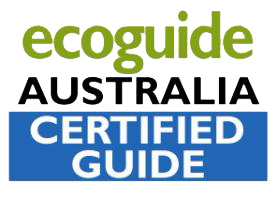 In 2008 Google Australia introduced G’day MATE. This technology would allow you to search for content on the internet before it is created. Using a technology that is use to predict the weather, Google Australia was able to predict the new content 24 hours before it would go online. Great to check news events or sport results! 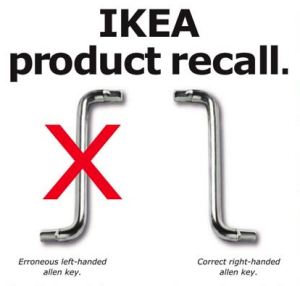 On April Fools Day 2012 Ikea Australia apologized to everyone who had received a left-handed allen keys with a product. They had a swap box at the store entrance for everyone who wanted to swap their allen key. 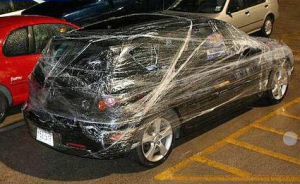 In 2009 over 400 cars were wrapped in Cling-film. The cars were parked at shopping malls, railway stations and in residential areas. No car was safe! All the cars had a note attached that read: Happy April Fools Day, Love Evie. There was no damage to the cars, so the police didn’t investigate the prank. Share your favorite prank on Facebook!